Coding region for first 20 aminoacids of plant protein Exansin4. Secretion signal for plants (derived from A. thaliana). When fused to a protein, directs the protein to extracellular space. Bioinformatic analyses based on the raw protein sequence (20 aa) predicts the secretion of the protein with 50 % probability. For further analyses a GFP-fusion protein was designed. Therefore, Expa4 was cloned in frame with GFP and the cellulose binding domain. This coding sequence was cloned into a vector backbone and was used for plant transformation. 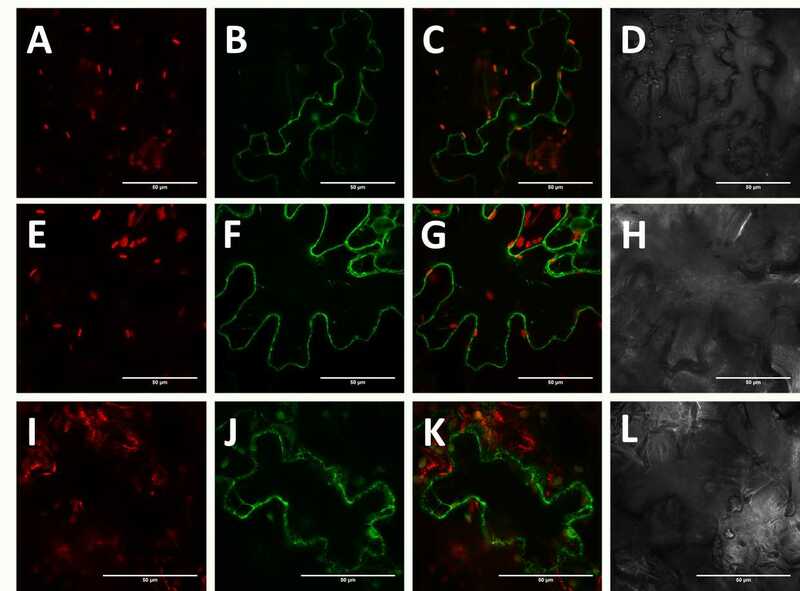 The GFP signal was detected via confocal microscopy in plant cells. In large eucaryotic cells it’s possible to analyze the subcellular localization with fusion proteins. A prediction via bioinformatics showed nearly 100 % probability for the secretion of the fusion protein.